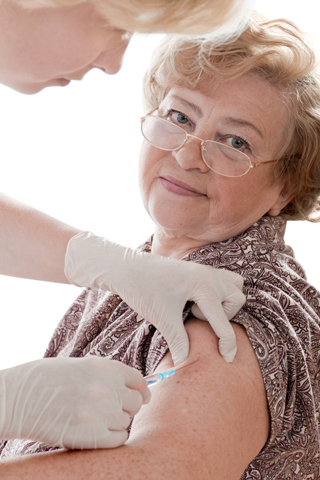 ﻿ Vaccines – Are your patients up to date? As physicians know, adults are generally mindful about having their children vaccinated – unfortunately, they are much less vigilant when it comes to their own immunizations. The result has been an increasing emergence of vaccine-preventable childhood diseases in adult populations.2 Flu season provides an opportunity to open a conversation about vaccinations in general. When did you last check your immunization record, and what was your last vaccination? Does your occupation or lifestyle put you at increased risk of contagious illnesses? Are you a health care provider or caregiver who has close contact with people and their germs? Do you have a medical condition that may make you be more vulnerable to serious complications of illness? Are you a gardener or person who works with soil, and so may be exposed to tetanus? Do you plan to travel to another country, and so may be exposed to many germs you may not have immunity to? Do you want the best protection against preventable diseases? That’s why you get immunized! Healthcare professionals who wish to order brochures from Vaccines411.ca to provide patients with a list of recommended adult immunizations can order them online here.